Blogvault Back up (3 sites) – $19.00. 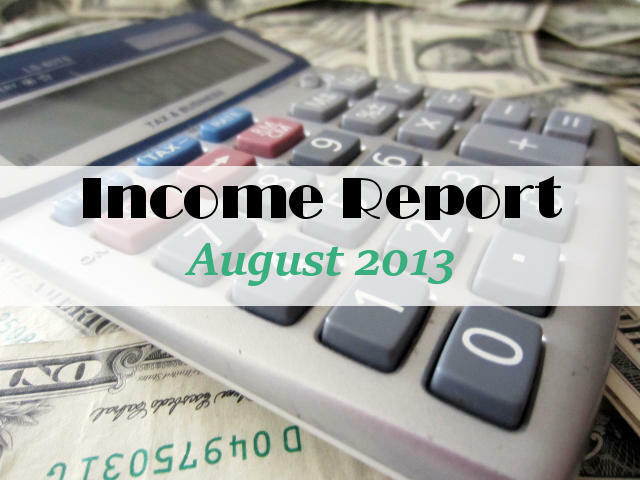 You can find previous month’s figures under the My Income tab above. Direct advertising – advertising revenue for So Sew Easy sidebar advertising continues to do very well. Some spaces are booked for up to 3 months in advance, so revenue on this is all included in the August figures as they are all prepaid. It’s pleasing to see that most advertisers continue to renew their expired adverts. I have also started to allow advertising on Moms Make Money and the first adverts came in for August. However Passionfruit Ads used to only charge $1 per advert, but from 1st September went to a monthly or annual subscription service. I chose the annual subscription and now pay $50 for the year – paid in August. It is worth it for me to have all of the scheduling and placement of the adverts done automatically. If you are serious about direct advertising for your site, I highly recommend their service. Media.net – I reported last month that I really wasn’t sure about this product and with results dropping again during August I decided to drop it. It seems to work well for some sites which have a much broader range of subjects, but for my very specific subjects, this double-click to pay model isn’t suitable for me. I also dropped Lijit right at the start of the month in favor of other advertisers paying higher rates, especially for my overseas traffic. Affiliate sales – income from affiliate sales continues to dominate my results. I hope that my sites feel to my readers as though they are giving information and value instead of trying to sell products and make money all the time – although that is obviously the emphasis on this site 😉 Amazon sales never pay very well and I wish this did better. Their percentage is low and the tracking cookie is very short so readers need to click and buy today in order to generate a commission. But with the holiday season coming up, perhaps this will generate a little extra – they do sell everything you need. Hint hint, so if you are buying something from Amazon this year, do visit your favorite bloggers and visit by their affiliate links in order to give them a little bonus. 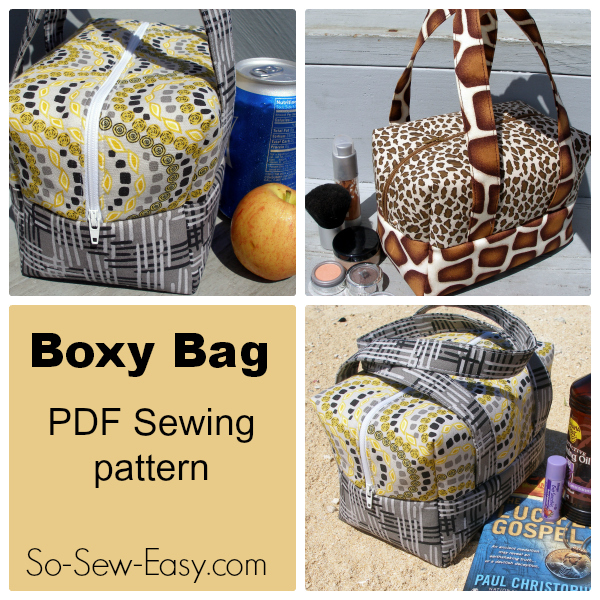 On 1st September I introduced my first paid sewing pattern. My sewing site has become very popular by giving away free patterns, but following the release of my e-book onto Amazon I’ve realised how the ‘make it once, sell it many times’ method can earn good money over time. So I developed my first ever paid sewing pattern and this has been released on Craftsy and on my Etsy site. It will be announced on the sewing site in the next couple of days. These patterns do take a time to complete, but once its up and ready for sale, there is nothing else to do and income can be ongoing – I hope. My big project I have been working on also was launched on 1st September at Moms Make Money. I have a new site – Blogger to WordPress which at present offers Phase One of my new business. 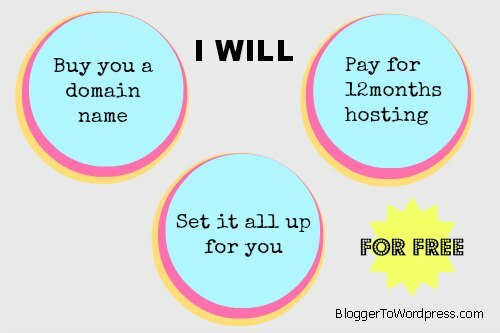 It was launched with what I think is an amazing offer – I will set you up a brand new self-hosted WordPress site for free – and pay for your domain name and hosting account for 12 months. So if you want to get into blogging, start a second site, or eventually move from another blogging platform – this service is for you. Phase Two of the launch will introduce the full blog transfer service focusing primarily on transfers for Blogger and free WordPress.com accounts over to the new free self-hosted WordPress account. To be honest, I’ve been a bit disappointed with the take up of the free site offer. There were a LOT of inquiries and many people signed up via my website. But then I have to send out a questionnaire to collect all of your personal info and get details of your new site, such as the domain name you want to use, links to your social media etc. And the return rate on the questionnaires has been very low. So far only 6 sites have completed the details. Perhaps Phase Two will be much more popular. Fingers crossed. I’ll be reporting back here next month on the impact on my earnings and expenses of this offer. I’m taking a two week vacation during September and will be off the grid so I do expect slower traffic, lower income for September. That’s OK, we all need to take a break and work on our tan instead of our blog from time to time. Continue to attract sponsors for a Seasonal Sewing Series I’ll be running in November – I’ve already got GREAT prizes lined up and a great line-up of guest bloggers. Issue another free sewing pattern during September – I think this upcoming one could be my best one yet! Tell me more about how I can make the Moms Make Money site more useful to you. Want do you want to know about? What would you like to see reviewed? What would you like to learn? This site was originally set up to answer your questions, so let me know how I can serve my readers better – leave a note in the comments or drop me an email or even reply to one of my newsletters. I’d love to hear from you. Deby, again thanks for making these figures known to us readers. I found it interesting that you stopped working with Lijit. I very recently signed up with them. Don’t have any figures yet. Hi Jann, a high percentage on my traffic is from overseas and their rates for these views were very low, so other advertisers were beating them overall. Depending on your traffic balance you may get much better rates. Good luck with it. This is very interesting. Just starting a blog and will have to look into these options. Thanks for sharing! Wonderful post. Great motivation. Thanks for sharing with us at our Thursday Favorite Things Blog Hop. I am always so impressed with your share a sale returns!!! WOw. I appreciate you being transparent with your earnings and wish I could be just a bit as successful as you :o) Looking forward to “sewing” with you in Nov… By the way.. I forgot the date I signed up for? Can you shoot that my way? So looking forward to your next phase for switching existing blogger to wordpress! Your horror story really was informative! Thanks for sharing your earnings and tips as well! Thanks so much for sharing this information. 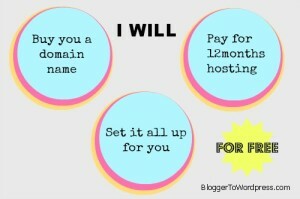 it is so helpful to us new bloggers to see where the potential revenue streams are. Thanks for sharing this with fellow bloggers! So helpful, and informative. Have a great weekend. I would love to know how you got in with BlogHer. Seems like every time I try to set up an account I hit a wall or get the run around from them. Am I missing something? Like, do you have to have a specific number of readers before they’ll do advertising on your site? Any tips in that depatment would be greatly appreciated! Thanks! It took a long time to be accepted. I applied back in January and wasn’t accepted until end of June. They have a set number in their network so it needs bloggers to leave for spaces to become available. Its well worth it – the rates are very good, especially for US traffic. I’m not aware of any specific numbers and certainly from what I see they take a variety of sites from the very big to the very small. I am sure they have a quota per niche too so that they get a variety of styles and subjects in their portfolio. And I loved the recent post about your craft show – the stall looks amazing. These things will take time, and it mostly is about numbers, although a small loyal and engaged following can often be better than huge numbers who just drop in to enter your latest giveaway or link party but don’t really read the site. I just popped over and read your latest post – it’s good to see the areas you are working on. I wondered if you had signed up with Blurb on ShareASale. When you sign up they send you a code to make your own photo book for free, which you can then review and promote on your site. It might just be one thing your target audience might be interested in – all families love photos and to make them into a book each year is a great way to save and organise them. Good luck. I will check that out. Thank you so much for the visit and the advice:) I am plodding along! Wow…thanks for your honesty and willingness to share this info! I’ve been blogging for almost a year and those figures and numbers made my jaw drop! One day I hope to get to that point! Thanks for sharing this! I had no idea there were so many options! Following you now on g+! Thanks so much for the info! I just started a blog and I am very overwhelmed with all of this stuff!! Basically with my affiliate sales, I buy the product I want to review myself, keeping in mind what I think my readers would be very interested in. Then I trial the product, review it and show how I have used it, what I have made/done etc. So its very much a personal review and information on a product I think they might want to know more about. If I can then include this product several more times, each time showing how it solved a problem that I had, then I have got good value from it. I have little success with just placing a sidebar advert – affiliate sales often need to be more direct. There is an affiliate sales Case Study post on the site you might find useful in this regard. Well done on your new site – good page views in such a short time. 97 posts in July – wow that is beyond prolific! However, although you have lots of adverts and affiliate links on your site, I don’t see any kind of disclosures anywhere. Do be careful and make sure your site complies with the FTC regulations for Bloggers – you should clearly and conspicuously disclose all sponsored posts and affiliate links before the link itself. You wouldn’t want to lose all your earnings defending yourself from prosecution! Thanks so much for you speedy reply! Oh-my-goodness. I didn’t know about all the regulations. That’s crazy. Thank you so much for opening my eyes. I am going to have to dig into that more and make my site comply with everything. I actually have added the ads within the last week. And I need to go back and clean it up because it’s very crowded. On my list for the next day or 2. Thanks so much!!!!!!!!!!!! I just started blogging about 6 weeks ago, I am only using adsense and amazon fully. Just started with ShareASale. Do you have any advice on how to do well using ShareASale? Thank you! Hi Katie – I did a whole post on affiliate sales, a case study, on how I have found it works best for me. I try to be informational rather than hard sell and encourage click-throughs even if it doesn’t result in an immediate purchase. Try some of my suggested ShareASale vendors – Blurb is a great one to start off with because they give you a voucher for a free photo book to make yourself which you can then review on your site. Otherwise, think about what products you use, what your readers would be interested in and give them information about those products. I hope the case study post helps you. How do you have time to keep up with all this?! I’m over here just happy I made over a dollar on adsense today… LOL, help me! Truthfully I feel like I don’t have enough time! I have SO many ideas and plans and just can’t get them all done quick enough. There are so many posts I want to write, so many things I want to try, so many patterns I want to make and offer on my sewing site. But its all too many, so many, and only a fraction of them get done. I think I need a virtual assistant! Thank you for taking the time and explaining this to us, I just started Monetizing my blog with amazon associates Hope it goes as well. What other affiliates do you recommend best, for my blog art & crafts most of the time? The best schemes are really going to be the ones that stock the products you would buy online. Assuming your readers have the same tastes and interests as you, what would you be interested in? A lot of online stores have an affiliate program, but its often hidden away on their site somewhere. Think about what you buy online and where you buy it, how you could promote it to your readers – and these are the programs that would probably work best for you. I actually find Amazon doesn’t really do too well for me, their commission rate is very low and the tracking cookie is only 24hrs – crazy. You need big traffic, a lot of clicks and big ticket items to make good money with them I think. But with Christmas coming I’d love to make a little extra….time will tell.